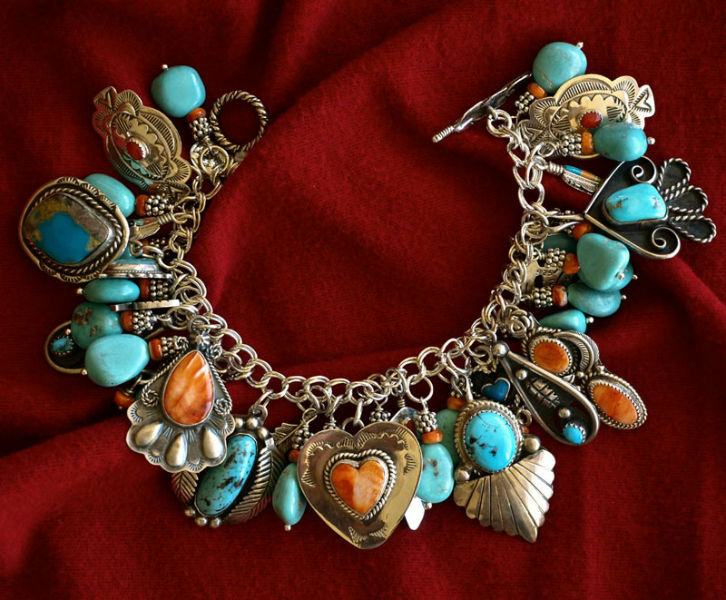 This summer season just seem to beg for a bracelet like this, especially if you are a sophisticated Country Girl at heart! The long focal charm is a handsome signed spiny oyster charm, designed with five little snake eye cabochons in elegant sterling silver setting. 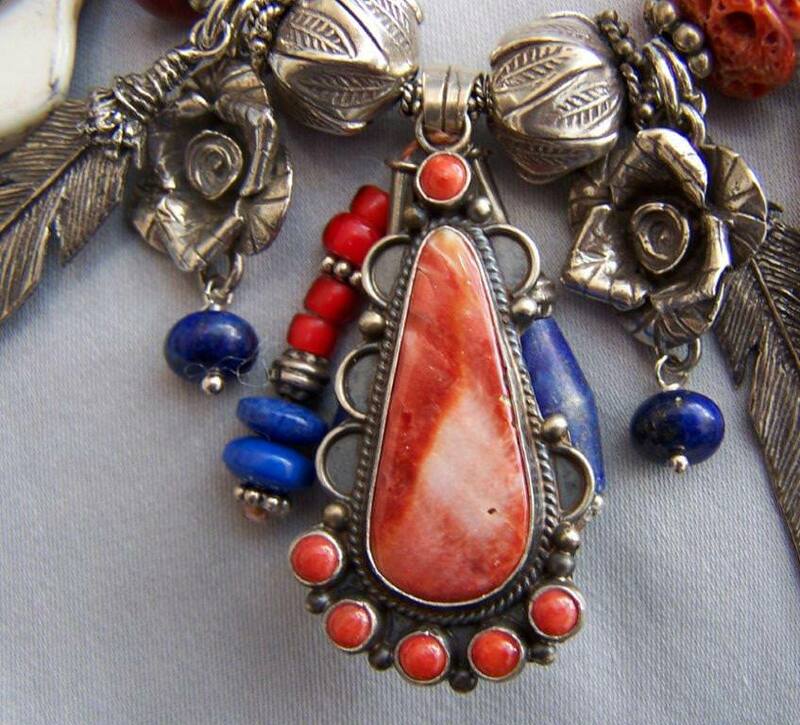 It is flanked by sterling silver roses, long sterling feathers, detailed bumpy sterling charms with small red coral stones and little crosses, sterling concho style charms with little dangles, rich red coral charms with 18 small stones and signed, two more sterling charms with coral and a smaller patterned sterling concho style charm, also with dangles. 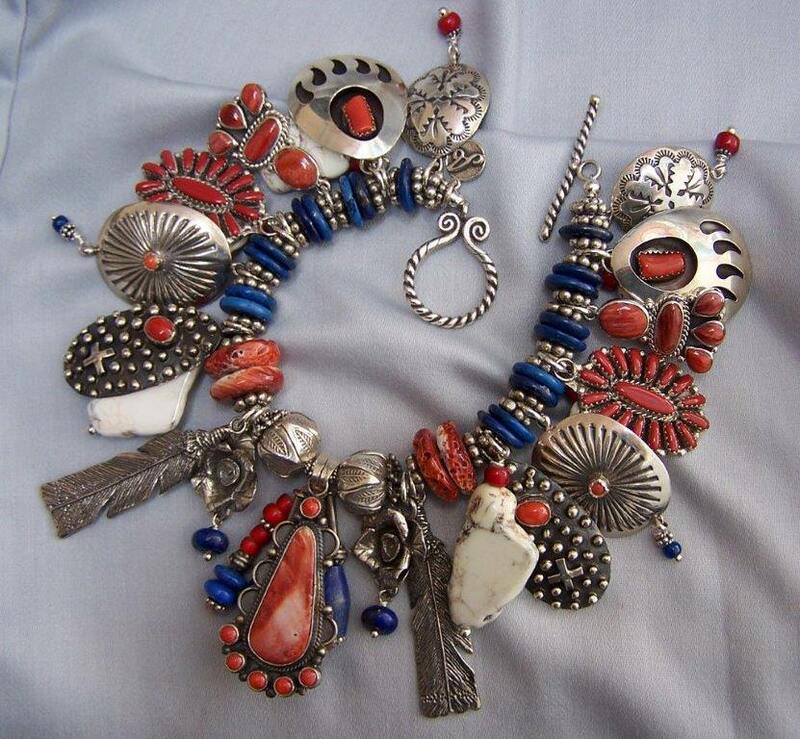 I’ve added 6 white turquoise slice charms that enhance the colors in the red charms, and the band is sterling silver beads with both spiny oyster and lapis lazuli stones. 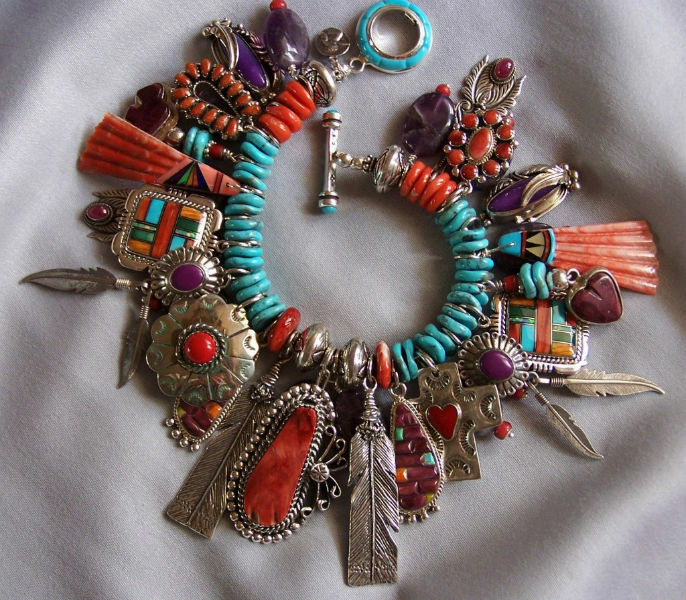 This is a very full bracelet, with 12 charms, mostly Navajo, not including the silver roses, the feathers or the white turquoise. 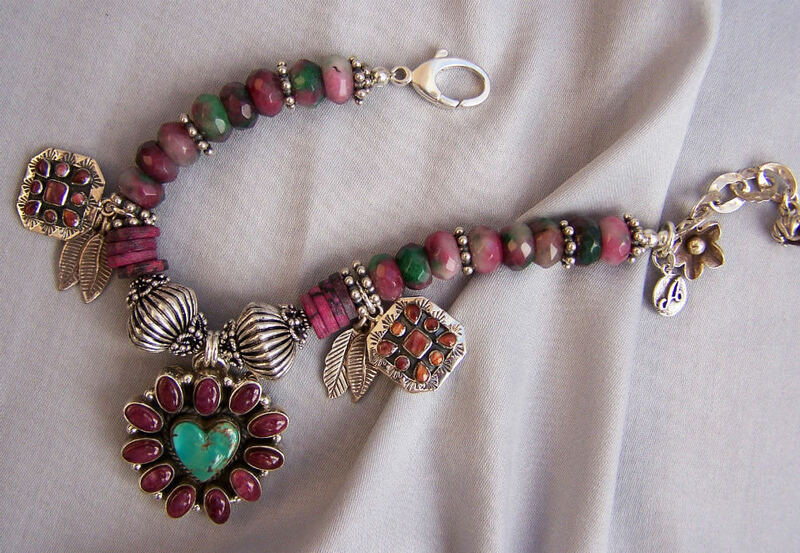 This bracelet is about 8″ wearable length with a simple, easy to use sterling toggle clasp. It makes a statement. 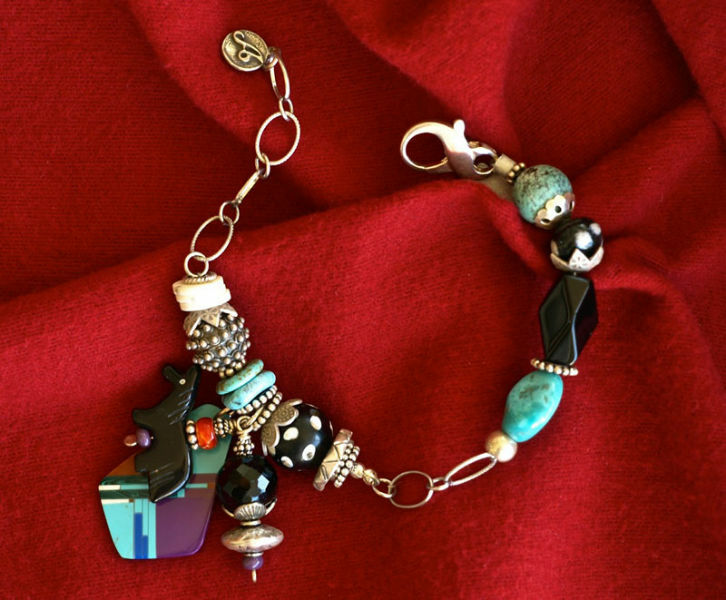 If you like, or it’s an elegant, colorful, rich looking charm bracelet you’ll love to wear!